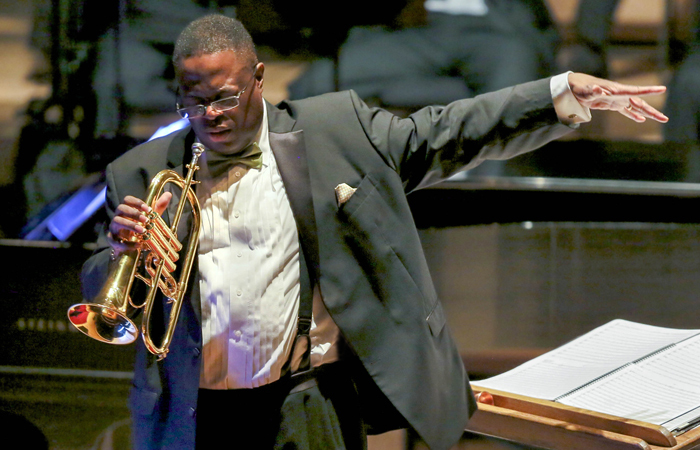 Although September 4 was the date the CJP made its performance debut at the Chicago Jazz Festival in 2004, the celebration will continue throughout the anniversary season—particularly with the all-star “CJP@10” concert that initiates the Auditorium Theatre’s “Made in Chicago” music series. The first half will feature Davis’ own instrumental compositions and arrangements—“a look back and ahead”—with the second half devoted to vocal pieces, including selections from the orchestra’s past salutes to Ella Fitzgerald, Billie Holiday, Sarah Vaughan, and Oscar Brown, Jr. Special guests include Dee Alexander, Terisa Griffin, Maggie Brown, Bobbi Wilsyn, Ari Brown, Mwata Bowden, and Howard Levy. Davis’ dream is to shatter boundaries, not only for music, but for people. “I call it inner diversity,” he says. “You know, diversity is not going to a concert and counting the African Americans. Diversity is if a musician of any hue can identify with the cultural nature of the music they’re performing and allow themselves to be that. That’s what we have in our orchestra; there are African-American classical musicians who study jazz, but there are also non African-Americans who can swing like Count Basie. The external simply becomes like a box of crayons: it’s the internal that matters.” November 14, 7:30pm, 50 East Congress, (800)982-2787. Pierre Boulez, conductor emeritus and former principal guest conductor of the CSO, will celebrate his ninetieth birthday in March. The CSO is celebrating early with a rare performance of his “Figures-Doubles-Prismes,” conducted by Pablo Heras-Casado. The program also includes music associated with Boulez as a conductor: Debussy’s “Ibéria” from “Images pour orchestre” and the Bartók Third Piano Concerto with Alice Sara Ott as soloist in her CSO debut. November 12-15, Symphony Center, 220 South Michigan, (312)294-3000. Despite having had to cancel his scheduled appearances with the CSO two years in a row due to illness, Boulez will be present in spirit thanks to a special presentation of the CSO’s “Beyond the Score” series entitled “A Pierre Dream.” The program will incorporate vintage footage of Boulez conducting and speaking about his music, as well as a new interview conducted at his home in Baden-Baden, his compositional retreat. 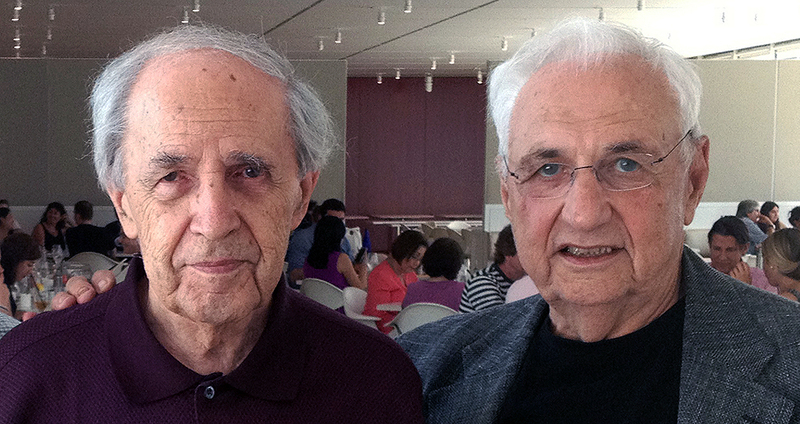 Architect Frank Gehry, a longtime friend of Boulez, has designed a special stage space for the occasion, consisting of a labyrinth of banner video screens which will project various images while Boulez’s music is performed—some works complete, others in excerpts—by members of the CSO. Among the pieces included are “Incises,” “Dérive,” “Une page d’éphéméride,” “Anthèmes,” “Messagesquisse,” “Improvisation on Mallarmé,” “Notations,” “…explosante-fixe…,” “Memoriale,” “Domaines,” “Dialogue de l’ombre double,” “Le marteau sans maître,” “Structures,” and “Sonatine.” The result is a multimedia immersion into the world of Boulez, a world still youthful and revolutionary after all these years. The Chamber Music Society of Lincoln Center returns for its fourth year of residency at Millennium Park’s Harris Theater, but with an expansion from last season’s three programs to five. Fall programs include Dvorak, Chausson, and Schubert (November 17) and—for the second time emulating an annual New York holiday tradition—all six of Bach’s Brandenburg Concertos in a single program. December 18, Harris Theater, 205 East Randolph, (312)334-7777. Music of the Baroque’s Nicholas Kraemer also will lead the complete Bach Brandenburg Concertos from the harpsichord, but with the CSO, not MOB. November 20-25, Symphony Center, 220 South Michigan, (312)294-3000. Brazilian-born conductor Lucia Matos makes her Chicago Sinfonietta debut conducting the annual Día de los Muertos concert. Included will be de Falla’s “El Amor Brujo” Suite, with shadow puppetry by Redmoon Theater, along with Cofré’s “Yin-Yin” and works by contemporary Mexican composers Arturo Rodríguez and Arturo Marquez. November 15 (Naperville) and 17 (Symphony Center), (312)284-1554. The Illinois Philharmonic Orchestra’s “Vocal Mastery” evening will feature Bavarian soprano Kathrin Danzmayr and former Ryan Center bass-baritone David Govertsen in the Chicago concert premiere of selections from Gordon Getty’s opera “Plump Jack,” as well as Schubert and Richard Strauss orchestral songs and the Sibelius First Symphony. Gifted Austrian music director David Danzmayr conducts. November 14, 8pm, Lincoln-Way North Performing Arts Center, 19900 S. Harlem, Frankfort, (708)481-7774. Russian pianist Denis Kozhukhin, the First Prize winner of the 2010 Belgian Queen Elisabeth Music Competition, makes his Chicago debut on the “University of Chicago Presents” series with a program of Haydn and Prokofiev. November 21, 7:30pm, University of Chicago’s Mandel Hall, (773)702-2787. Ensemble Dal Niente is hosting “Dal Niente: Party 2014,” an annual communal, experimental series designed to remove concert-hall conventions. This all-ages show, which will include food and beverages, features music by Ted Hearne, Johannes Kriedler, Beat Furrer, David Lang, Franco Donatoni, Chris Fisher-Lochhead, Ashley Fure, George Lewis, Natacha Diels, Alex Mincek, Augusta Read Thomas, Alex Lunsqui, Thomas Adès, Edgar Guzman and John Adams. November 15, 7:30pm, Jackson Junge Gallery, 1389 North Milwaukee, (773)227-7900.